For over a decade, one of the main ways I’ve tried to advance the cause of Enlightenment has been talking to journalists writing popular articles on quantum computing (or P vs. NP, or the universe as a computer simulation, or whatever). Because of my blog, journalists knew how to reach me, and because I’m a ham, I always agreed to be interviewed. Well, I told myself I was doing it as my way of giving back to the field, so that my smarter colleagues would have more time for research. Unfortunately, this task has sort of taken over my life. It used to be once a month, then it became once a week, and by now it’s pretty much every day. Comment on this claim by IBM, that press release by Rigetti, this embargoed Nature paper by a group in Australia. And when you do, it would be great if you could address this itemized list of 12 questions, with more questions coming later depending on what the editor needs. On Friday we were on a family outing, with Dana driving and me in the front passenger seat, typing out another reply to a journalist on my phone. Because of my engrossment in my Enlightenment duties, I neglected to tell Dana where the exit was, which then made us a half hour late for a scheduled museum tour and nearly ruined the day. So then and there, I swore an oath to my family: that from now until January 1, 2019, I will be on vacation from talking to journalists. This is my New Years resolution, except that it starts slightly before New Years. Exceptions can be made when and if there’s a serious claim to have achieved quantum computational supremacy, or in other special cases. By and large, though, I’ll simply be pointing journalists to this post, as a public commitment device to help me keep my oath. I should add that I really like almost all of the journalists I talk to, I genuinely want to help them, and I appreciate the extreme difficulty that they’re up against: of writing a quantum computing article that avoids the Exponential Parallelism Fallacy and the “n qubits = 2n bits” fallacy and passes the Minus Sign Test, yet also satisfies an editor for whom even the so-dumbed-down-you-rip-your-hair-out version was already too technical. And things have gotten both more exciting and more confusing in the last few years, with even the experts disagreeing about what should count as a “real quantum speedup,” or how much we should expect quantum computers to help with optimization or machine learning problems. And of course, if journalists are trying to sort this out, then they should talk to someone who knows a bit about it, and I lack the strategic false modesty to deny being such a person. Like, someone who calls me to fact-check a quantum computing piece should be rewarded for having done something right! Alas, these considerations are how I let talking to journalists take over my life, so I can no longer treat them as dispositive. For journalists looking for what to do, my suggestion is to talk to literally anyone else in the field. E.g., look at the speakers from the past 20 years of QIP conferences—pretty much any of them could answer quantum computing questions as well as I can! I’m tempted to name one or two specific colleagues to whom everyone should direct all their inquiries for the next year, but I can’t think of anyone I hate enough. Unrelated Update: There’s at least one striking respect in which a human baby is like a dog, cat, or other domesticated animal. Namely, these are entities for which you can look into their eyes, and wonder whether they have any awareness whatsoever of the most basic facts of their situation. E.g., do they “know” which individual person is looking at them? Whether it’s morning or night? Which room they’re currently in? And yet, as soon as it comes to the entity’s food sources, all these doubts vanish. Yes, the baby / dog / cat clearly does understand exactly which person is supposed to feed it, and at what time of day, and often even where the food is stored. Implications for the mind/body problem (mind/stomach problem?) are left as exercises for the reader. Unrelated Update #2: As many of you have probably seen, the cruel and monstrous tax bill awaits only Twitler’s signature, but at least the PhD student tuition tax was taken out, so American higher education lives another day. So, does this mean academics’ apoplectic fears were overblown? No, because public opposition, based on widely disseminated information about what the new tax would do to higher education, probably played an important role in causing the provision to be removed. Keep up the fight. This entry was posted on Sunday, December 17th, 2017 at 2:04 am	and is filed under Announcements, Self-Referential. You can follow any responses to this entry through the RSS 2.0 feed. Responses are currently closed, but you can trackback from your own site. Wow, at least you do not stop writing here, because the world would be a much dumber place if you do not write. Aviti #1: Thanks. Between journalists and the blog, I pretty much only have time for one, so this year I’ll be doing the blog. Then I’ll look back on the experiment at the end of the year and see how it went. Why not create a FAQ for all of those questions and direct them there? Obviously the solution is to have yourself cloned Scott. Now just a few questions about how cloning and quantum computing will mesh together in the future…. Bunsen Burner #3: I’ve made various FAQs in the past, and I’m sure I’ll make more in the future, but in practice, I’be found they do nothing to decrease the number of inquiries. And also, the questions do change over time, not much, but just enough to make any FAQ outdated. Hence the need for a public commitment device like this post. A pointer in this article to any still-relevant FAQ’s may help. Anyway, thank your for the work you have done. No one can do it all. This post will also serve as a “be careful what you wish for” to all those scientists who *think* they’d like to have a higher public profile. I’ve very much enjoyed working with you as a journalist. Thank you for your service, and I hope you are as productive as you wish to be in 2018. Talking to journalists is important, but so is one’s life and sanity. One good strategy is to not take questions by email, only by phone. Slight reduction in fidelity, but a substantial speedup. You are on your way to some (long-deserved) academic freedom, but when are you going to complement/replace your past “nose-look” with a “real” look on your Web site (by which I mean the photo I end up getting to see, irritatingly, if I forget to add the “/blog” on your domain name)? Anyway, nice precedent to set. I will think seriously about having a NYR to reduce the frequency of my blog updates in 2018. … It was important that I did it some or the other time…. What? Is it already (almost) here? whooooo! Wow!! … Who would’ve thought it would come so near, so fast? Scott, Just so you know, and perhaps to ease your conscience for almost screwing up a museum appointment by failing to say, “turn off here”, you do have other family living in other parts of the world who read, follow, and look forward to your blogging! You deserve to choose who and when to provide commentary, but please, don’t stop commenting in general on topics you desire! We look forward to this means of keeping in touch! Does putting that FAQ on your website about students not emailing to ask to work with you for a PhD (before they’re admitted to MIT and now UT Austin) actually work? An assistant to do the grunt work of dealing with interview requests, sending the correct FAQ, etc., might help a lot. The UT might consider funding such a person, using the rational that every mention of UT in a publication has some monetary value that can be estimated. Entirely understandable to call a moratorium. Could we please, though, also have a moratorium on the phrase “dumbed down”. The audiences are not (in general) stupid. They’re often people with significant achievements in other fields. They just don’t speak your language and haven’t spent 15 years acquiring your particular set of mental furniture. You’re translating, as best you can, for people without that set, and usually you’re doing it in ignorance of whatever it is they might know that’d be helpful for analogymaking. Thanks, Scott. I agree with Raoul Ohio #15, too, though I’ve yet to see a university fund comms people for individual faculty, even faculty with very large research programs — usually those salary lines come out of grants and are half-time. It can be good value, though, esp. since your half-timer would also be the point person for the university news writer(s) assigned to your dept, whose background is probably not in QC. And there’s a strong enough sci-comm community in Austin that you’d probably be able to hire someone decent. Alternately you could advertise it as half-time very flexible with room to maintain a freelance career, esp if half-time comes with benefits at UT. As I said, no plans to discontinue blogging. The museum was in northern Israel, and was about the history of kibbutzim. As it happens, we were almost the only ones there that day, so the tour guide just waited for us. Even having arrived late, we were able to finish the museum (and reach the limits of Lily’s attention span…) before lunchtime. But me always being on my phone answering QC journalists has been a pet peeve of Dana’s for a long time; this was simply the breaking point where I finally admitted she was right about it. Journalists don’t say this enough, so: thanks for putting up with all of my questions over the years. You’ve have helped to make countless stories better, not to mention prevent a fair few duds from being published. Hope you enjoy your media vacation, though I must admit I’m looking forward to your blogged thoughts when (if?) supremacy is achieved in 2018! Thanks so much, Jacob! I appreciate your efforts as well. Daniel #14: As far as I can tell, no. Not even a tiny amount. As with students, why not have preset office hours for journalists? Your update about animals knowing where the food is stored reminds me of an occasion I began to wonder if our cats have a theory of mind. My wife usually feeds them, and they hang by the food bowls waiting for it. When I feed them due to her unavailability, they run to the store cupboard and look at me to make sure I know where the food is kept. So, they have some idea of what another person might know which is distinct from what they know. Prediction: the moratorium won’t last in any meaningful way. You yourself seem to hint at that when you say “exceptions can be made when and if there’s a serious claim to have achieved quantum supremacy, or in other special cases”. That “special case” provision is so vague that it can encompass almost anything. The spotlight is addictive. Instead of denying your love affair with the popularization of computer science ideas, you should embrace it wholeheartedly. You could be the Carl Sagan of computer science in this age, if you wanted to. Finally, I take issue with your characterization of your work as “Enlightenment duties”. To begin with, the “Enlightenment” was not a clearly defined ideology, rather an umbrella term for a group of thinkers who sought to bring reason as counter point to superstition at a time when the European elite though that astrology was scientific https://en.wikipedia.org/wiki/Astrology#Renaissance_and_Early_Modern -as an aside, things like these make me be skeptic of beliefs that the elite accepts blindly as facts without much argument. Ours would be the first elite who hasn’t fallen for chimeras in thousands of years. I trust much more strongly the thousand year old record of human elites believing in nonsense. Among those thinkers we now consider as part of the Enlightenment, you can find some like John Locke -whose ideas about government found their way to the US constitution via the founding fathers. John Locke’s religious ideas would be considered extreme by your own standards https://en.wikipedia.org/wiki/John_Locke#Religious_beliefs “With regard to the Bible Locke was very conservative. He retained the doctrine of the verbal inspiration of the Scriptures.The miracles were proofs of the divine nature of the biblical message. Locke was convinced that the entire content of the Bible was in agreement with human reason”. further “Although Locke was an advocate of tolerance, he urged the authorities not to tolerate atheism, because he thought the denial of God’s existence would undermine the social order and lead to chaos”. Simply put, John Locke’s ideas are so much at the core of the founding fathers idea of government that Thomas Jefferson said https://en.wikipedia.org/wiki/Two_Treatises_of_Government#North_America “Bacon, Locke and Newton I consider them as the three greatest men that have ever lived, without any exception, and as having laid the foundation of those superstructures which have been raised in the Physical & Moral sciences”. And please, spare me of an exercise of “historical fiction” of the kind I am so used to hear that John Locke and the like would be atheists had they lived in 2017. It is impossible to understate what Locke (and similar) contributed to our current world. Anybody can like his ideas after they have been practiced for 200+ years first in the US, then in the world at large. It takes a man of his genius to propose something like that in a context, XVII-th century Europe- that took for a given that “absolute monarchy” was the end of history when it came to government. venky #23: First, because the journalists are all over the world in various time zones, and are usually under deadline, and have complicated constraints of their own about when they can and can’t talk. Second, because I lack the willpower to say, for example, that I’m only going to answer emails about this topic at these times during the week. If there’s easy work to be done, then I’ll always, always knock it off as a way of avoiding the hard work (indeed, answering this very comment is an example of that 😉 ). And as long as journalists know they can email me at will, the problem is that there will be a constant stream of easy work to distract me from hard work. Third, because even office hours themselves—or classes, lunches, meetings, or anything whatsoever that’s at a set time in the day—are severe drains on my productivity. Besides (of course) having two kids, these are what stand between me and the sorts of insane hours, all-night paper-writing sessions, and uninterrupted 10-hour math binges that I had in grad school and postdoc—i.e., the period of my life when I actually got stuff done. However, most of these things I do because they’re part of my job! Or because they contribute to the productivity of my students, to whom I feel an almost parental obligation. I now have to prioritize ruthlessly about the productivity sinks that aren’t matters of obligation. What about implementing a small consulting fee for the next year? This will cut down on demand by encouraging journalists to look for other quantum and/or complexity experts, but still allow you to be involved when a journalist or news outlet really wants to get *your* thoughts. The consulting fee could be calibrated to fit your desired work-life-balance utility function. Monetize the brand! 🙂 You’ll be able to treat the family to dinner the next time you almost ruin an outing. Jon K. with the market based solution for the win! This is pretty silly. Why does accepting some of Locke’s ideas necessitate accepting other unrelated ideas of his? Those seem very separable, especially considering how many — such as Jefferson who you mention — evidently did separate them. I welcome this decision. Unlike the science journals that really depend on researchers like you volunteering a significant amount of your time to referee their papers, journalists aren’t so dependent on you. They are prepared for people not willing to give them interviews, and are able to produce popular science articles of asymptotically the same quality even with this constraint. Plainly speaking, since most of them never really cared about what you said in the interviews, they’ll just keep inventing stuff. In this case, they might say that quantum computing has no practical values, the research mathematician elites have always known this, and now that their deception has come to light, they’ve gone back to their old tactics of retiring to their ivory towers and not bothering to tell anything about their work to the general population. Quantum computing researcher Scott Aaronson, who had been one of the loudest voices in emphasizing how important quantum computing is, has declined to comment. Scott #22: It’s worked at least once – I moved you off my ‘to pester’ list. Scott, thank you for giving so much time to answering my questions over the years. Your insight, clarity, and sheer quotability have made my articles much more compelling than they would otherwise have been (and probably saved me from some embarrassing errors, too). I hope you enjoy your well-earned break. In this case, they might say that quantum computing has no practical values, the research mathematician elites have always known this, and now that their deception has come to light, they’ve gone back to their old tactics of retiring to their ivory towers and not bothering to tell anything about their work to the general population. Someone (maybe him) told me about how Edsger W. Dijkstra handled the many review requests he received. If he had time to read the paper, write the review, and get it out in the next day’s mail, he did so. If not, he returned the manuscript in the next day’s mail, telling the editor he didn’t have time. (You can see this was some time ago.) This made for happy editors, as well as keeping his time manageable. Did Thomas Jefferson separate them? Did he demonize John Locke’s religious ideas in the way some in academia demonize the same ideas today? I think that the answer to both questions is No. Thomas Jefferson had many faults, first among them was his condition as slave owner, but I don’t think he demonized religious people even though he himself, based on what I have read, was either a deist or an outright atheist. And BTW, before somebody accuses me of falling into https://en.wikipedia.org/wiki/Whig_history fallacious reasoning myself, I remind everyone that at the time Thomas Jefferson penned his most famous writings on liberty, slavery was already vehemently opposed by some colonialists. Slavery was officially abolished in Massachusetts in 1783, the year Americans won their war of independence against Britain, for example. It is not silly to make clear what “Enlightenment” really was and put it into its proper historical context. I am not saying that Scott is guilty of equating “Enlightenment” with irreligiousity -since it is the first time I have seen him using the word- but I have been in too many interactions where a blunt metonymic fallacy – http://www.oxfordreference.com/view/10.1093/acref/9780199568758.001.0001/acref-9780199568758-e-1729 – was committed when using the word “Enlightenment”. The “Enlightenment” movement was pro-reason and anti-superstition. It was never “anti religious belief” as a whole -even though some Enlightenment figures were atheists- in the way the crop of New Atheists like Richard Dawkins have hijacked the word “bright”. So I think the qualification is warranted. I let Scott elaborate on what he meant by “Enlightenment duties”. Did Thomas Jefferson separate them? Did he demonize John Locke’s religious ideas in the way some in academia demonize the same ideas today? I think that the answer to both questions is No. Thomas Jefferson had many faults, first among them was his condition as slave owner, but I don’t think he demonized religious people even though he himself, based on what I have read, was either a deist or an outright atheist. So, in short, he did in fact separate the ideas. He agreed with some but not others, considering them separately rather than based on who originated them. I was going to continue on in this line but rereading your original comment I’m getting the idea that your actual point was elsewhere and I’m not really responding to it, so, eh. what do you think about the UFO footage release? boo #40: Is there anything about this that should cause me to take it more seriously, or even spend more seconds thinking about it, than 70 years of previous UFO claims—the investigation of which has taught us a lot about human psychology, and maybe about various aerial phenomena, but nothing positive at all about extraterrestrial intelligence? Unexplained mysteries are all around us. Just yesterday, for example, I was absolutely certain that I turned the oven off, just as my wife told me to … yet the oven remained on and overcooked our dinner. Still, the bar for giving such phenomena international attention, or for speculating about an extraterrestrial origin for them, should probably be higher. They probably do, but they just don’t dwell on this fact as much as we do, they just move on to doing things that obsess them… like we all do! – how many humans actually marvel everyday at their own ability to know in which room they’re currently in? Or that they’re alive and breathing? Versus going for the next thing to do (looking down their cell phone) or thinking about some hypothetical future or reminiscing on the past? In his book “My view of the world”, Erwin Schrodinger puts things upside down a bit by noticing that individual consciousness is what all start with, and what we each call “the world” is but an internal construct entirely within our own hermetic sphere of consciousness. What’s miraculous to him is how all those entirely private spheres of consciousness somehow manage to become aware of each other, and how all those private world constructs within them end up merging into the concept of a physical reality (he argues that because of that process, the concept of a physical reality is really “metaphysical”). The way we recognize others as similar to us is first through mimicry. Animals and human babies all do it. Behaving like something we think is similar to us is a way to connect deeply (that’s also probably why/how the sense of self evolved). Then beyond that there is language. Thanks for clarifying. I hold those same values and yes, I am also a Christian. In fact, Jesus himself could be classified as an Enlightenment figure according to this definition. He was pro separation of church and state (Matthew 22:21), he was definitely tolerant with other religious traditions of his time with teachings such as the parable of the Good Samaritan (Luke 10:25-37) and if there is anybody who knows what’s like to be killed by religious intolerance, well, that’s Him. I am glad you are making this clear. Jefferson still went as far as signaling John Locke, the whole person, as a great man. Well, in fact, he even signaled Isaac Newton -whose religious convictions were even more extreme than Locke’s- as a great man. This notion that he considered in his praise only the ideas from these men that he agreed with is your own editing, not something supported by the quote I provided. A typical example of over-fitting religious animosity into a famous person’s writing if you were to ask me. Little Green Men running amok in your house gaslighting you. Literally. Tee hee. Let’s dispel with the myth once and for all that babies / dogs / cats don’t know what they’re doing. They know exactly what they’re doing! The quick answer: Scott’s list is solidly grounded in Enlightenment history. JI.7 freedom of expression, political criticism, and the press, in the public sphere. JI.8 democratic republicanism as the most legitimate form of politics. The bottom line: Shtetl Optimized’s enlightened values closely accord with the historical Enlightenment values that Jonathan Israel summarizes. A sharply contrasting alt-right critique of Enlightenment values is provided by Andrew Joyce’s three-part jeremiad “Pariah to Messiah: The Engineered Apotheosis of Baruch Spinoza“, which appeared in the (Putin-assisted?) Occidental Observer: White Identity, Interests, and Culture (March, 2013). QuS*.8 (shared) peer reviewed publication as the most legitimate form of scientific communication. One take-away lesson for science-popularizers is simple this: from an enlightened scientific perspective, Quantum Supremacy and Quantum Skepticism are, fundamentally, much more alike than different. TPWG #43: Right, see, I’m not talking about what he “considered in his praise”, I’m talking about what he agreed with. I see no particular reason why the former might be relevant to anything, and as such had not considered it might be something you were talking about. So like I said we seem to have been talking past each other, and I’m not really sure this is going anywhere useful. Scott this footage was released by official sources https://www.nytimes.com/2017/12/16/us/politics/pentagon-program-ufo-harry-reid.html!!!!!!! boo #49: But I remember as a teenager in the 90s, the other teenagers I knew who were UFO buffs were always talking about “official sources,” the CIA and the Pentagon, unexplained footage, all the same basic ingredients. And then I learned, e.g. from reading Carl Sagan, that those have been the basic ingredients of UFOlogy ever since the subject “took off” (har har) shortly after WWII—by complete coincidence, the exact same time when the public was first being inundated with movies about spacemen, and also the exact same time when the Air Force really did start doing all sorts of aerial shenanigans that it tried to keep secret. Yet again and again and again, the previous cases, when they could be resolved at all, had ordinary terrestrial explanations. Of course I don’t know that the same will be true this time around … but at some point, it becomes like the story of the guy who used to believe that lightning came from an angry Zeus, but then someone teaches him Maxwell’s equations, so he revises his belief to say that most lightning is explainable by Maxwell’s equations, and only some of it comes from angry Zeus. That sounds nice, but if I wanted to achieve even 1% of Sagan’s productivity at (e.g.) writing popular books, then I’d indeed need to become much more ruthless at managing my time! I will be passing off almost all media requests this year to my colleagues, because that’s something I want to try, and because this post will let me. But even if I only passed off (say) half of them, writing the post would still have been a win in terms of time. I think you should definitely consider becoming “Carl Sagan”-like. In fact, forget about “Carl Sagan”, each of us is different. I don’t like when I am asked to be like “someone else”, so I don’t like to ask others to do so. My point here is that it seems you have a knack for communicating computer science ideas to the public at large that escapes other experts in the field of theoretical computer science. From personal experience having worked with, and continue to work with, very smart technical people, not everybody in computer science has this gift. It’s already hard to have experts in computer science understand each other points when they discuss non trivial issues. Having the public know about these issues in very important, particularly given that debates about what AI will accomplish or its limits aside, I have no doubt that we are in a path in that will make the computer systems of tomorrow even more complex than those of today. And their impact in society will also be greater. At the same time, and this is something that Carl Sagan mentioned during one of his last interviews, it seems that the ability of the public at large to understand these issues seems going down. I have stopped counting the number of conversations that I have tried to have with regular folks about the danger of Google, Apple and the like tracking everybody’s smartphone GPS position data that can be correlated with their identity and online tracking only to be told “I have nothing to hide, I don’t care”. I get the feeling that if these same people were asked to live with a video camera taping their daily lives at home they would not be as understanding and yet, I find the former type of tracking way more dangerous for privacy. My take is that most regular folks do not understand computing on large amounts of data as a technology. On a more personal note, when I was growing up, I got a lot of inspiration from Carl Sagan’s documentaries. Nobody in my family had ever pursued a career in science so other than the encouragement I got from my high school teachers, Carl Sagan was the closest I had as an informal mentor as I navigated college life and beyond. So all this to say that becoming a public computer science intellectual could be, depending on your personal preferences of course, more rewarding than leading an obscure intellectual life that gets rewarded with things like membership in the National Academy of Engineering or the National Academy of Science. The public doesn’t generally know who these people are and very few of them are remembered after their deaths unless they have done something of significance that affects society at large. I bet Carl Sagan has had more impact for science as a whole through the number of people he inspired to become scientists or engineers than most of the people who were elected to the National Academy of Science at the time he was refused membership to the same. Scott this is my theory. Part of the $22million was spent on this footage to increase credibility of the program? Plausible? Or is this one of the rare Zeus jolts (I am taking your exceptional Zeus jolts literally that they come from Zeus (unless you imply something else))? Something that’s been annoying me about the AI risk community is the use of unnecessary specialized jargon counterproductive to communicating with a wide audience. The worst is “singleton”, “hegemon” is the term of art everywhere else, and I see no obvious reason not to use it other than a desire to signal one’s membership in the AI risk community. And while I detest the Great Mouse of Darkness as much as anyone, it seems to me that referencing “paperclip maximizers” and either explaning what that means at length or hoping that your listeners will be bothered to google the phrase is a bit silly when one could just refer them to the single most famous animated short of all time. I think it’s absolutely imperative that Scott immediately break his moratorium in order to comment on these new revelations about his oven. Are “singleton” and “hegemon” related? I thought “singleton” was a OOP GOF Pattern (to use some unnecessary jargon), and “hegemon” was something PoMoPoPo’s (Post Modern Political Posers) yammered about. I imagine OOP is where the word hails from originally, but I see it used to mean “a power nexus that can defeat all challengers” a fair bit, most often in the context of FOOM scenarios. I just don’t see the point of coining a new term for that when a perfectly servicable one already exists. One comment to the linked 2011 item with the “Minus Sign Test”: Deutsch in 1984-85 really did believe that the quantum machine model he had then was capable of hypercomputation. If I recall correctly from my own over-the-shoulders peering while the greats of the Oxford Maths Institute debated this, the argument came down to something about infinite random sequences where an intensional definition seems to be non-r.e. but was equivalent to an extensional one that is r.e. So his argument was refuted, and I don’t know what became of any writeup of it. The actual 1985 paper came out different. Atreat #44: you mean as in…soda? Ken #59: Interesting historical tidbit! Even more recently, Deutsch has written things that elide the distinction between computability and complexity more than I’m comfortable with, although I think he’s gotten better about that. The argument that you describe sounds like one I’ve been involved with many times myself, when people ask me why the randomness of quantum measurement outcomes doesn’t already refute the Church-Turing Thesis, or why it shouldn’t already be considered “hypercomputational.” In response, I try to impress on them what a weak and pathetic form of “hypercomputation” that is, compared to what one might have hoped for! If it did refute the Church-Turing Thesis, all that would really mean was that we weren’t careful enough in stating the thesis. We should restate it to encompass probabilistic Turing machines, in which case we’re right back where we started. I see no future for you in marketing. Scott, Why is the tax bill “cruel & monstrous?” I’m not totally up on it, but it doesn’t seem so bad to me from what I do know. As Margaret Thatcher already noticed, a common theme in leftists is the belief that they have a God given right to spend other people’s money anyway they wish. In their worldview, taxation is not thief -as it is in my own- but rather an entitlement that the “enlightened bureaucrats” in government have to spend money collected via the coercive force of government as they see fit. Any time there is less money from taxation at the hands of those bureaucrats and more money in the taxpayer’s pockets, the “enlightened bureaucrats” scream. It’s like this idea that is popular among Silicon Valley tycoons of a universal minimum income. Let’s consider for a second how perverse this idea is. So, people like Larry Page, Sergey Brin, Mark Zuckerberg, Elon Musk, etc have taken automation to the extreme to the point that many people lack the necessary skills to keep up and will necessarily be unemployed. Instead of volunteering their own money or their own companies’ money to compensate those affected by their misdeeds, they want the rest of us to pay for it. Cases like this is what the term “limousine liberal” was coined for. JohnK #63: Well, it amounts to a massive transfer of wealth from the poor and middle-class to the rich, at exactly the time when inequality in the US has become 1929-level severe and we ought to be changing the tax code in the opposite direction. Some of it, like eliminating the SALT deduction, is fundamentally unjust and upends assumptions people have planned their lives around. And it’s opposed by most of the American public and by almost all economists, and was rammed through Congress without any serious debate. Probably even worse than the bill itself is the contempt for democracy that the process of passing it revealed, with Trump and Congressional Republicans just telling bald-faced lies (e.g., that the bill would actually hurt rich people like Trump), and suppressing analysis from the Treasury department about the bill’s terrible effects, because they knew this thing had no honest defense. Worse yet, not only does the bill add $1.5 trillion to the debt (exposing the hypocrisy of the Republican “”debt hawks””), but it’s designed to explode in everyone’s faces a few years from now—when we’ll be faced with a choice between increasing the debt by much more even than $1.5 trillion, or else raising taxes on most of the American public in order to pay for the giant giveaway to the rich. Meanwhile, even more horrible crap was added on, like repealing the individual mandate (!) and drilling in the Arctic National Wildlife Refuge, as part of a successful “Shock Doctrine” strategy to overwhelm the opposition. AFAIK, lowering the corporate tax rate could maybe, possibly have been economically defended, as part of a package that would also include benefits for the poor and middle-class. But the rest of it is just pure looting of the public treasury to reward Republican campaign donors at the expense of the country’s future. Like seriously: what is the rational defense of any of this, that differentiates it in any way from the corruption that regularly occurs in Third World banana republics? Let’s be real here. The SALT deduction benefited overwhelmingly the upper middle class people who live in expensive, blue states such as California or New York. Most people used the deduction to deduce a combination of state taxes and local property taxes. Given that for a married couple, the standard deduction has doubled to 20K, keeping things as they were would have benefited only people who would have deduced more than 20K in these two concepts. They don’t look poor people to me. This deduction was being subsidized by people who were not upper middle class from California, New York or elsewhere. I don’t feel sorry for these people. They were living above their means subsidized by the rest of us. Also, the tax bill limits deductions for state and local taxes to $10,000.00, which is a way of punishing blue states, which often have higher taxes than red states. The tax bill kept it, but lowered the max amount of loans that are eligible for it from 1 million to 750K. Again, you tell me which Americans buy these homes. It ain’t the poor. So yeah, let’s at the very minimum agree that the tax code was already weaponized to favor these people. I don’t know if the tax bill will deliver on the promises Trump made -projections based on economic analysis alone are mostly junk because economics is dismal science- but to say that the previous regime was awesome, and that the new regime is awful is misleading. It was awesome for a subset of the American people (25 % at most). Now it will be a bit less good for them, but others will see more money in their pockets than with the previous regime. That’s good news for them. 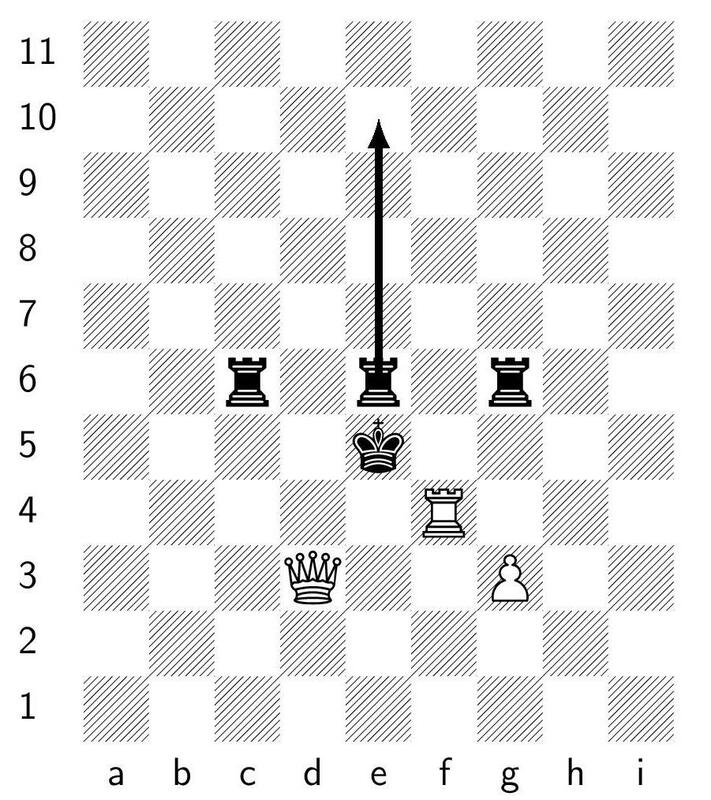 Scott #61, http://jdh.hamkins.org/infinite-chess-dartmouth-2014/ and related posts mention that in infinite chess (edgeless board), there are positions where if white and black both are required to use computable strategies, white can win; but if computability is not required (randomness is available?) then black can draw. I haven’t read the paper yet so don’t know how much incomputability is actually required. Does P=NP mean the end of the world? Everything human brain can do a computer can and so a csapien replaces sapiens? CScuriosity #70: No, I wouldn’t say P=NP means “the end of the world”—in particular, as I said in my survey, it’s neither necessary nor sufficient for an AI singularity—but if P=NP and the algorithm could actually be run in practice, it would certainly be a very different world. I do not understand ‘Conversely, while a proof of P = NP might hasten a robot uprising, it wouldn’t guarantee one. For again, what P?= NP asks is not whether all creativity can be automated, but only creativity whose fruits can quickly be verified by computer programs’. What is a problem related to creativity that is not in P if P=NP and SAT has linear time algorithm with benign constants? CScuriosity #73: There might or might be any such problem. Indeed, if you believe the brain is essentially a classical computer, then everything humans can do should be captured by the class P, regardless of whether or not P=NP! But even so, even if someone proved tomorrow that P=NP, via an efficient-in-practice algorithm that they handed you … if you wanted to use their breakthrough to automate human creativity, you would still face the problem of writing down the actual NP verifier for whatever creative task you wanted to automate. E.g., if you wanted your computer to generate great novels, then you’d still have to figure out how to get your computer to recognize great novels when shown them, before your magical P=NP code could help you. Now, you might believe that programming a computer to recognize great novels must be possible, since you can recognize great novels and “your brain is just a Turing machine”—but even then, believing that the program exists and actually producing it would be two different things, just like in the world of today. And yes, you might be able to use P=NP in a second place, to speed up machine learning or whatever and thereby help create a fast program to recognize great novels (which could then, by P=NP, be converted into a fast program to generate great novels). My only point was that you’d still be left with a nontrivial problem there. Ok I see the point. So if someone publishes a 7n time complexity algorithm for 3SAT there will be something that prevents you to make use of full potential of 3SAT thereby preventing the end of the world (sounds like matrix stuff but I think traditional institutions like money based, knowledge based, altruism based, entertainment based might collapse and a third world war realistically unpreventable). Twitler’s the guy who sent the people marked with blue checks to the gas chambers, right? Scott #72, I’m not sure which version of infinite chess that computability result considers, but quite a few of the results are about the version with an infinite board and a finite number of pieces, so all positions must be won or drawn in finite time. You still get positions with transfinite game values, like “white to mate in omega” but that means black has to pick a finite number n and make a move selected by that n. After seeing black’s choice, white can now mate in n. So it’s bounded by omega since n can be as large as black likes, but not infinite. asdf #77: Cool! Can you tell me anything further about how that goes? In particular, I assume that a “White to mate in omega” situation would have to involve Black encoding the value of n by moving a rook, bishop, or queen n squares? Because otherwise—if Black encoded n piecemeal via a sequence of moves—then Black could just continue those moves forever (increasing n without bound) to force a draw, a la König’s Lemma. Scott, yes, move the rook n squares to make white mate in n is the general idea. You can have higher ordinal values that way too, provably up to omega**4 on a 2-d chessboard and omega_1 (i.e. all the countable ordinals) on a 3-d board, and conjecturally omega_1 on 2-d.
Added: looking at the MO thread again, it looks like the uncomputable-strategy draw does depend on having infinitely many pieces, and also with finitely many pieces the ordinal values all have to be recursive (which makes sense). Oh well. Would a junior researcher’s (academic) career really benfit from the media attention?? Fang Zhang #82: Try Feynman’s QED book! He never mentions “complex numbers,” just says that you have to add up a bunch of arrows to find how likely a particle is to end up somewhere. Of course, someone who understands it might still doubt that that’s how the world could actually work. But popularizing QC without getting across that that’s how the world does work (as far as physics can tell) strikes me as an unsolvable problem. It would be like trying to popularize evolution without getting into humans and fish having a common ancestor, because if you told people that then they might doubt the whole story. It’s a lot easier for them to come up with a story if they don’t have to do the lion’s share of the research. And if there are errors, well they can blame them on the interviewee. But if the material is good, that reflects positively on them. Not that that’s a reason to run from interviews, just to be judicious about which will be the best investment of your time, IMO. PS – just found your blog, and enjoy what I’ve read so far. If you have links to what you think are some of your best interviews, it might be fun to read a few, especially if you cover material there that isn’t here.